Pokara is the most representative vacation spot in Nepal, often used in the movie industry as a filming location for Shangri-La. There, where immaculate blue skies meet the snow-capped Himalayas in an unforgettable kiss of heaven and earth, one can’t help but shed his worldly worries and rejoice in the beauty of the landscape. Taiwan’s own Yilan Plain boasts a scenery of comparable beauty: surrounded by tall mountains and watered by limpid rivers and lakes, it’s one of the island’s topmost vacation spots. 20 years ago, when Mr. Shan first travelled to Nepal, he was deeply moved by the beauty of Pokara, as well as the zeal with which the locals preserved its natural resources. That inspired him to invest tens of millions in founding Pokara Resort, with the intention of bringing this love of nature to the blessed lands of Yilan and share it with as many people as possible. 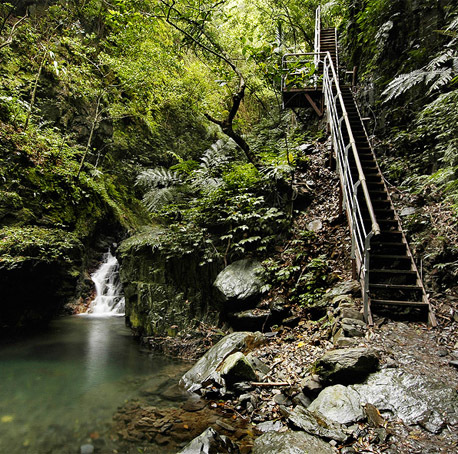 Yilan County is well-known for its numerous natural hot springs due to the area’s geographic nature. 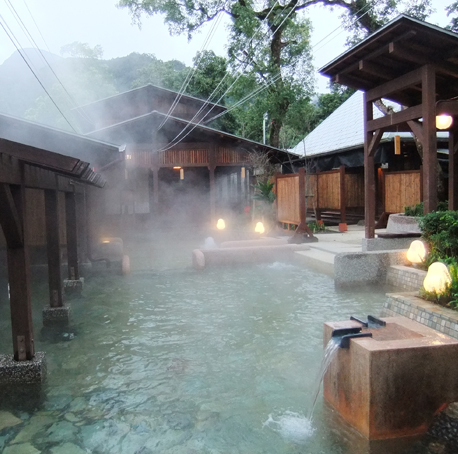 Amongst these are the historic “Jiaoxi Hot Spring”, which is known as “The Hot Spring among Hot Springs” and “Tangwei Hot Spring” which has been famous since Qing Dynasty and ranked on the “Eight Scenes of Lanyang Area”. 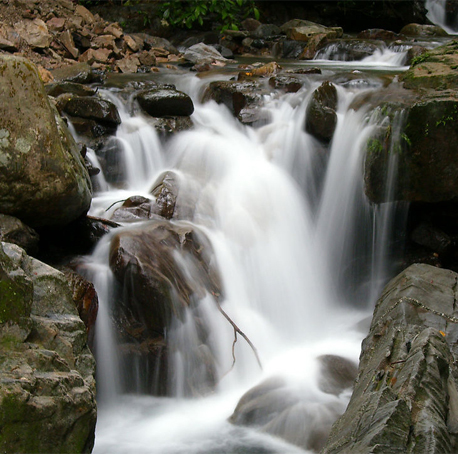 Wufongci (Five-Peak Flag) Waterfall is a renowned scenic spot in Jiaosi Township. The waterfall got its name because of the five peaks that line the background of the waterfall which look like a flag from afar.There are three sections in this 100-meter long waterfall. The bottom section is about 20 meters long with several ponds formed along it. They provide the tourists great spots for water play. The middle one is about 30 meters long and formed by the water gushing out from the cliff wall. Waterfall Viewing Pavilion here is a perfect location to enjoy the spectacular scenery of its surrounding mountains and valleys. The top section is about 50 meters long and runs down from the steep and narrow gorges. Orchids are called the gentlemen of flowers. Known as the king of the orchids, Phalaenopsis Aphrodite (Butterfly Orchids) is named because of its resemblance to a flying butterfly. Being the most exported flowers of Taiwan, Phalaenopsis Aphrodite has been considered the best flower to represent Taiwan. 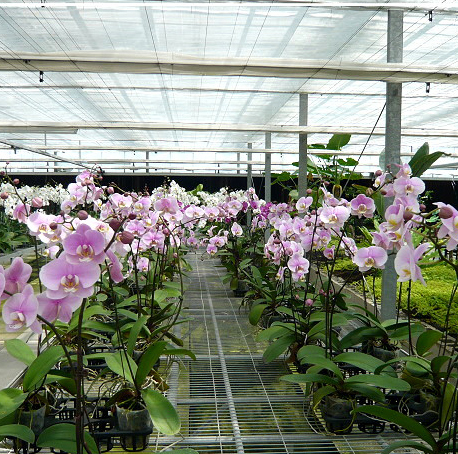 Due to the humid climate, Yilan is highly suitable for growing orchids. They have state-of-the-art greenhouses here using advanced biotechnology for cultivating various species of orchids. As a result, over one million orchids bloom here every year thanks in part to the innovative hi-tech and agreeable weather in Yilan. Orchids grown here are known for their health and beauty and attract admirers from the world over. Ninety percent of the orchids grown in the park are exported to Japan, where they admired for their size, smell, and beauty. A small part of orchids are becoming popular in the home delivery business in Taiwan. Within such a small human-figure totem, it also conceals the profound respect towards them. 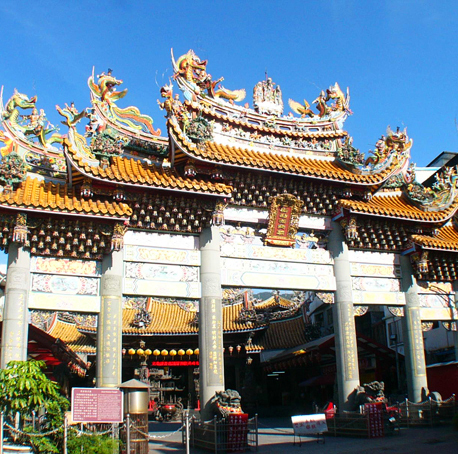 Jiaoxi Sietian Temple is the first and most important Guandi Temple in Taiwan. The temple worships Silk Guangong. This temple was built in 1804 by the Chingting Government. It was rumored that after the temple was built, local epidemics stopped and it became a flourishing temple from then on. The temple’s architecture is majestic, solemn and luxurious. The thirteen day of the first month of the Lunar year is the auspicious day when Guanshendijun became an immortal. According to traditions, the temple worships the God and offer Hongpianguei made from the glutinous rice and sweets provided by the eight nearby villages. The Guei praying ceremony is adopted to pray for blessings. Guishan Island is 10 kilometers east of Toucheng Town and it is the largest island of Yilan County. Guishan Island is also the only active volcano in Taiwan and is the only island with residents in Yilan. 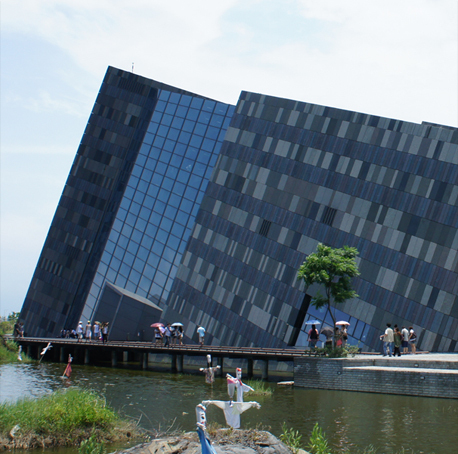 Not only is the landmark of Yilan, Guishan Island also an emblem of Yilan spirit. 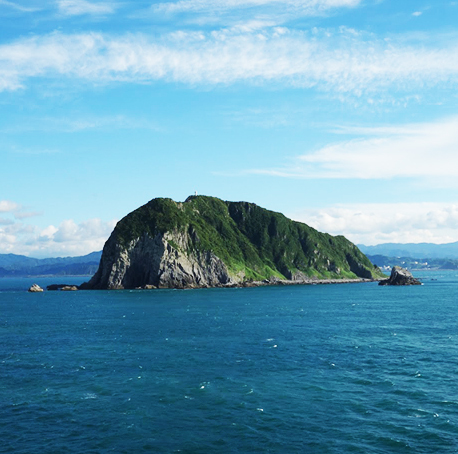 Guishan Island, as known as Guishan Yu, got its name because its shape resembles a turtle. In 1999, the government abolished the martial laws and Yilan government began to petition for making Guishan Island a tourist attraction. In 1999, the government designated Guishan Island to be part the Northeastern Coastal Tourist District. In order to preserve the natural environment, the number of tourists is controlled. With the growing popularity of whale watching, Guishan Island has become the hottest tourist attraction. Mary Leu painstakingly carves and chisels every wrinkle and fabric texture in a single block of wood to create incredibly realistic everyday object. Even without staining or painting, the sculptures can easily be mistaken for the real thing. Shichao Agricultural Leisure Area combines wetlands ecological education, winter bird watching and fine fish pond food. Not to be missed by nature lovers is bird watching at Shichao in winter time, and Shichao Waterbird Refuge near Wendi Drainage Channel is the best spot around. Birds spending the winter in Taiwan to avoid the cold of their northern homes include the egret, grey heron, black-headed gull, wood sandpiper, yellow wagtail and the protected black-faced spoonbill. Visitors can also try their hand at fish rubbing, weaving and other things at Dawen Tourist Aquafarm. 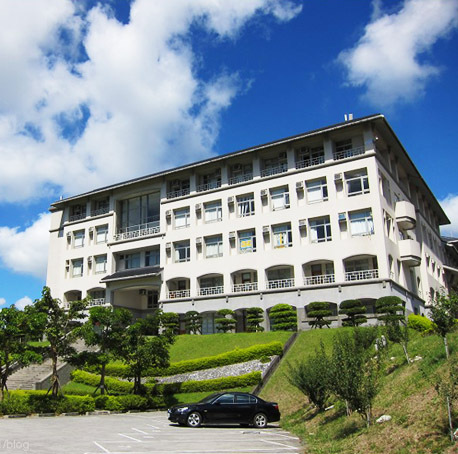 This Department of Foreign Languages & Cultures of ours is the only department in Taiwan which integrates contemporary cultural studies into English teaching. This Department is located at the mountain,it can view over guishan mountain. This Department is located at the plain site,it's a very beautiful campus. Wushih (Black Rock) Harbor comes from the 3 large, black, coral rocks within the harbor. In 1826, the Cing Court designated it as an official harbor under the administration of the Touwei County Administrative Office. In 1878, the river way was silted up with sand and stones flushed down from the mountains from serious flooding. In 1883, an American ship got snagged on the coral reef, sinking and subsequently blocking the harbor entrance. During Japanese rule, the Japanese government replaced river transportation with land transportation, further eroding Wushih Harbor's usefulness. Once a place where trees felled deep in the mountains were stored and cut up, Luodong Forestry Culture Garden (羅東林業文化園區) is now a nature preserve as well as a place where visitors can learn about the history of logging in Taiwan and the lives of those who worked in the industry. Wulaokeng belongs to the field of Sincheng River. The river course enters the plain here and forms a special beautiful landscape composed of mountain and river. It was called “Wulao Mountain Stream” in the past, one of the “new eight Lanyang scenery spots.” The slopes on both sides of the river are warm and suitable for growing tea trees. The flavor of the tea tastes fragrant and sweet and makes Wulao tea well-known. In this area, the forests are verdant, the grass slope is green, and the river is flowing and cool. 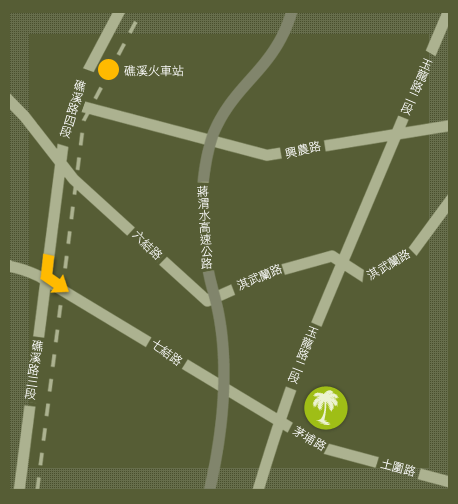 Luodong Night Market is one of the must-visit places when touring to Yilan. Located near Luodong Chungshan Park, Luodong Night Market offers various mouth-watering local snacks and fashionable shops. Since it is at the center of Luodong, Luodong Night Market is a famous tourism stop for all visitors. Every evening, nearby shops, snack vendors, and stores open to welcome large populations of visitors and tourists. Various tasty snacks allure both local residents and foreign visitors. The popular signature snacks of Yilan Luodong Night Market include mutton herbal soup, iced tapiocas with red beans stuffed, rice noodle thick soup and many others. The National Center for Traditional Arts (the NCFTA) was established in January 2002 and is one of the agencies overseen by the Council for Cultural Affairs, the Executive Yuan (Council for Cultural Affairs). It protects, surveys, researches, conserves, promotes and develops the traditional arts at a national level. In order to increase its efficiency, involve more talents and obtain more resources, public welfare facilities that do not require the authorities are privatized. It is hoped that by privatizing certain welfare provisions, the traditional arts would be more influential to the public. As a result, although the NCFTA is overseen by the central government, some of its facilities and its outreach division are privatized. On 5 February 2005, the Cultural Heritage Conservation Law was modified and announced.